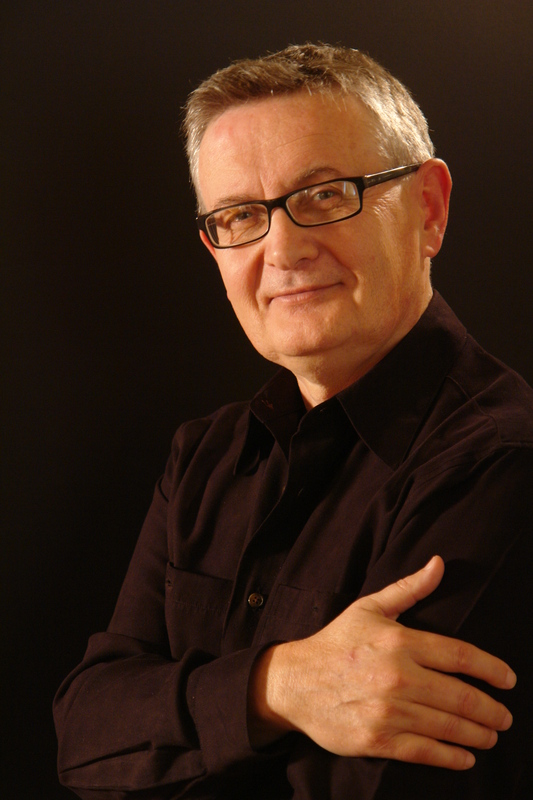 from Marjan Mozetich, composer of the Concerto for bassoon, strings and marimba, to be featured on our April concert. 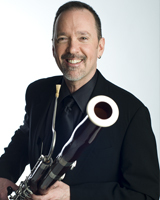 It was Michael Sweeney, principle bassoonist of the Toronto Symphony, who commissioned and premiered my bassoon concerto in 2003. It so happens that Mr. Sweeney is a good friend of Glen Einschlag which is how Glenn got to know of my bassoon concerto and gave the American premiere at the Colorado Spring Festival in 2007. The concerto was a very close and detailed collaboration between Michael and I. Because of time constraints I would write the concerto in sections and send Michael a copy of the handwritten manuscript. He, in turn, would immediately transcribe it onto the computer so that he could practice to the electronic playback of the orchestral part. In this way he got to intimately know the work and would relay any technical errors or difficulties to me. Effectively he acted as my advisor, copyist and proof reader. So much so that he eventually produced the individual parts for the orchestra! This close collaboration is a rare occurrence in the classical music world. Mr. Sweeney’s conviction and exuberance for this concerto went so far as to commercially record it immediately after the premiere. All this was something composers can only dream of, and to which I have been greatly indebted. from Michael Sweeney, Principal Bassoon of the Toronto Symphony. While I was a member of the bassoon quartet, Caliban, my colleagues and I decided to expand our repertoire by commissioning a new composition. We were assisted by the Canadian Music Centre who made available for our perusal recordings and scores from a wide selection of composers working in a variety of styles. It was during this phase of our project that we encountered, and became captivated by, Marjan Mozetich’s El Dorado for solo harp and string orchestra (played by the esteemed Erica Goodman). We quickly and easily agreed to ask Mozetich for a new bassoon quartet. Having long had a keen interest in tonal modern music, I was thrilled to be working with a composer writing in a style that spoke to me not only intellectually, but on a deeply satisfying emotional level as well. Once I had immersed myself in Mozetich’s recorded output (see: http://www.mozetich.com), I realized that I would not be content with just the commissioned bassoon quartet, but that I wanted a concerto from him to play as well. After the première of the quartet, Mozetich agreed to my commission of a concerto. In preparation for composing a large-scale work for bassoon and ensemble, he asked for recordings and scores for the important works from the solo bassoon repertoire. I supplied him with all the usual concertos favoured by bassoonists, including those of Vivaldi, Mozart, Weber, Hummel, Jolivet, John Williams, and a few rather more obscure composers as well. While Mozetich was impressed with the technical demands of Jolivet’s Concerto pour basson from 1954, he was most taken with the concertos of Antonio Vivaldi. Perhaps in homage to Vivaldi, Mozetich chose early on to accompany his bassoon soloist with string orchestra and marimba, using the marimba somewhat as the harpsichord was used in Vivaldi’s day; to flesh out the harmony, provide forward propulsion, and in general, add articulation and colour to an otherwise homogenous string ensemble. Beyond the marimba as a kind of modern keyboard continuo instrument, one can also hear Vivaldi’s influence in Mozetich’s use of fast repeated notes and sequences of florid arpeggios for the bassoon. These superficial similarities to the music of Vivaldi are, however, only departure points for Mozetich. Both his basic musical materials, and the methods by which he transforms and develops them would have been inconceivable to Vivaldi and his contemporaries. Herein lies the key to understanding Mozetich’s music and placing it in context: while he composes using a 20th/21st-century sound palette, his compositions are driven by decidedly pre-20th-century aesthetic values including the primacy of melody, the functionality of comprehensible harmony, and recognizable proportions of form. This quality of inhabiting two musical worlds at once – modern sound idiom/pre-modern aesthetic values – is a chief characteristic of the so-called Romantic Postmodern school of composition of which Mozetich is Canada’s foremost exponent. In Concerto for Bassoon, Mozetich offers an emotionally compelling, lyrical, and virtuosic Postmodern work that journeys into a sound world at once invitingly familiar, and intriguingly new.